June 1, 2012 was a special day for ALASOFLA. In celebration of the Chapter’s 40th Birthday, the Board decided to mark this momentous occasion with an evening of charitable giving, recognition to our generous and valued business partners as well as an acknowledgement to our members for being a part of this highly recognized professional organization. Invitations were also sent to Past Presidents of ALASOFLA providing us an opportunity to thank them for the vibrant Chapter that we are today! 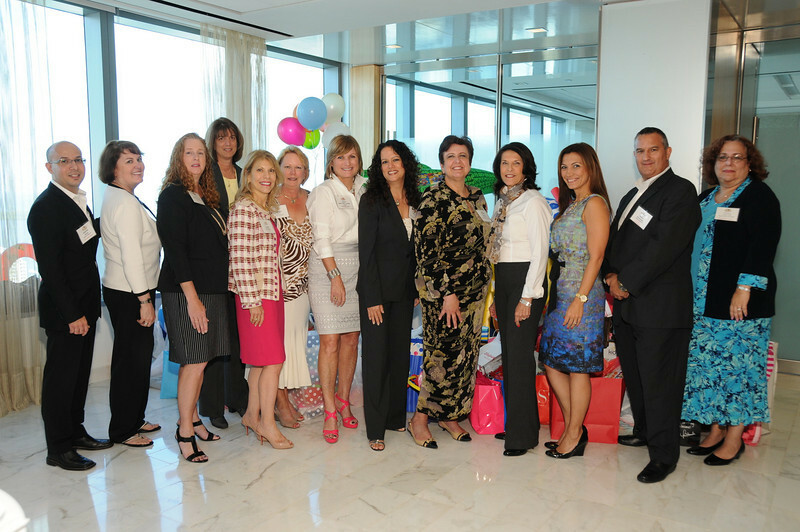 Vicki Smith-Bilt, CLM, SPHR and former Chapter President who is currently Business Director at Greenberg Traurig (Miami) hosted the event in their new offices. Invitations requested that attendees bring a gift to the party. During the evening, items were collected for the non-profit organization, Kids in Distress’ “Summer Camp.” The Summer Camp promotes educational and meaningful activities during the summer for 110 kids. Our goal was to provide as many new items as possible for these children such as bathing suits, towels, flip-flops, goggles, tank-tops, beach shorts and t-shirts. The ages range from infant to 15 years. The response to our request was overwhelming. In addition to the beautiful display of gifts in the photos attached, the Chapter collected $415 in contributions from individuals. The number of summer camp/beach items collected was over 1,000, well in excess of our initial goal of 110. It was a most enjoyable and incredibly rewarding event.